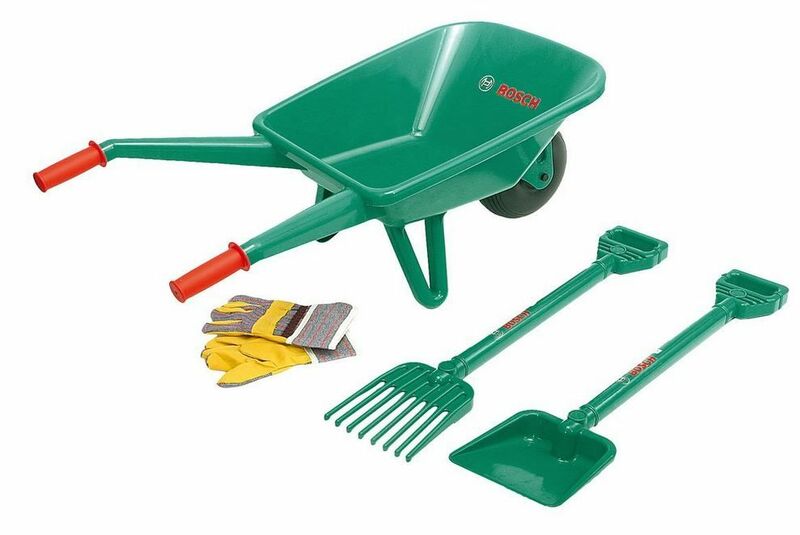 Childrens wheelbarrow and garden tool set makes a great outdoor playset for Dad and Mums little helpers. Bosch Children’s Garden Set is a great playset for children who want to help out in the garden. Whether your child enjoys the thought of gardening or they just want to copy mum and dad, Bosch Children’s Garden Set allows children’s creativity to run wild. The perfect solution to allowing your children to feel involved whilst you tackle your garden tasks.